-Circle pillow (460mm): It will perfectly fit into our Pentagon, Mars One, Soccer and Soccer White Cardboard Cat Houses. If you are a cat loving person, you definitely know the struggle of your cat sleeping always on your clothes, blankets, carpets sometimes even pillows! Is your cat not feeling comfortable? We will gladly present you our pillows, our special sleeping place for your cats! They come in different sizes, shapes and colors, and are designed so that they always match the interior of your house. 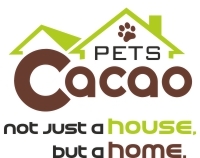 They are made so that they fit precisely into our cat houses and make it an even better heaven for your cat: safe, warm, cozy, comfortable and soft. We all know our cats like when they are sleeping on something soft. We have handstitched everything by ourselves and even out nice buttons on it. Every pillow is individually cut and sewn. If you feel like the pillow is too dirty, put it in the washing machine on 30 degrees. If you have purchased a cat house form our shop, choose the correct size of the pillow to fit in it. -Handmade; -Made from 100% high quality cotton; -The inside is filled with waddling; -Decorated with buttons; -Easy to clean in the washing machine on 30 degrees; -Unique match for any interior; -Instantly attracts your cat; -Circle pillow (460mm): It will perfectly fit into our Pentagon, Mars One, Soccer and Soccer White Cardboard Cat Houses. -Handmade; -Made from 100% high quality cotton; -The inside is filled with waddling; -Decorated with buttons; -Easy to clean in the washing machine on 30 degrees; -Unique match for any interior; -Instantly attracts your cat; -Rectangular pillow (400x450mm): It will perfectly fit into our Twist and Meow Cardboard Cat Houses. -Rectangular pillow (420x460mm): It will perfectly fit into our Carriage and The Temple Cardboard Cat Houses. -Rectangular pillow (400x500mm): It will perfectly fit into our Dead Man’s Chest, Studio, The Twins and Penthouse Cardboard Cat Houses. -Rectangular pillow (420x550mm): It will perfectly fit into our Smart Cardboard Cat House. -Rectangular pillow (300x400mm): It will perfectly fit into our Halloween Cardboard Cat House. -Rectangular pillow (320x340mm): It will perfectly fit into our Shark Cardboard Cat House. -Square pillow (420x420mm): It will perfectly fit into our Dr. Who Tardis, Wash and Cat’s Fortress Cardboard Cat Houses. -Square pillow (400x400mm): It will perfectly fit into our Modern, Star Wars Imperial Stormtrooper, Hello Kitty, Cool Summer, Taj Mahal and Pokémon Cardboard Cat Houses. -Square pillow (500x500mm): It will perfectly fit into our Mayan’s Pyramid, Tank and Origami Cardboard Cat Houses.